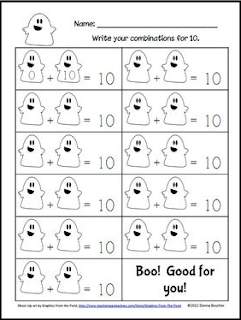 Adorable friendly ghosts adorn this workstation activity for practicing combinations for ten. If you like this free product, I hope you'll rate it and follow my store! You might also like Apple Math: It's a 70-page unit filled with number sense activities.